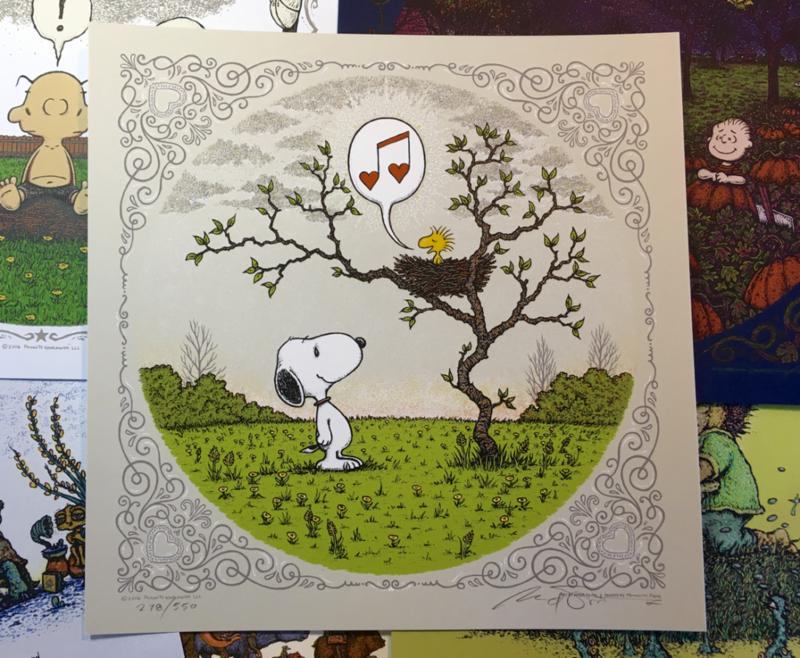 To kick off February, our shop will be releasing a few remaining prints of “Woodstock’s Song of Love” that were held back for this Valentine’s Day. Inventory is extremely limited and will show up in the shop on February 1st, after noon (pm pst). Along with Song of Love, there will be minimal inventory made available of various leftovers from last year’s releases. Since the inventory for all items will be minimal, customers should expect difficulties checking out as multiple people go for the same item at once. There will be a limit of two items per household tomorrow. I realize we are not all that consistent with our “limits”, but for this one we don’t want the same people to be able to land all the items made available due to some internet advantage…..it will be hard enough for the average person to land one item. Will it just be the prints pictured? Will prices be on par with the original release? Many are slightly more expensive than the original release.